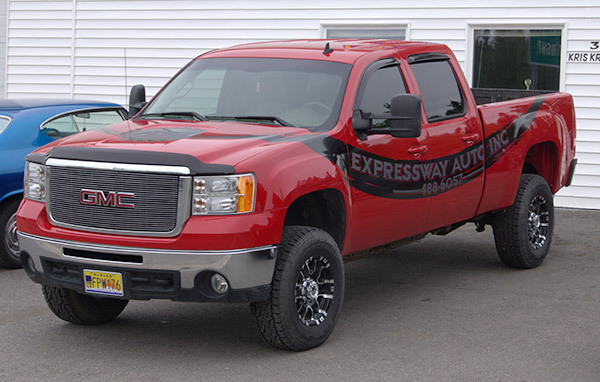 Services - Expressway Auto Inc.
Expressway Auto in North Pole, AK is your one-stop shop for auto repair and maintenance. Our ASE Certified technicians possess the skills and resources necessary to offer the comprehensive repairs that other shops can’t. We can handle all of your auto repairs from your A/C to your suspension - and everything in between. Our auto repair shop also houses a glass specialist for all of your window and windshield needs. No matter what make or model you drive, you can be sure your vehicle is getting the best auto repair in North Pole at Expressway Auto. 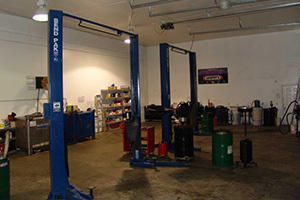 At Expressway Auto, we offer more than auto repair in North Pole. We also provide preventative and regularly scheduled maintenance services to help keep your car looking and running like new. Our technicians have expert knowledge and experience on every make and model of vehicle, and can help you choose specific services that will be the most beneficial for your car. So when you need an oil change, differential flush, or any other auto service, our North Pole auto repair technicians can help get you back on the road in no time! We are a genuine Tire Rack installer and offer the sale, installation, rotation, and balancing as a part of our comprehensive auto service. When your tires start to wear unevenly or your car starts pulling to one side, bring your car into our auto repair experts for an alignment to get you back to driving smooth! From catalytic converters to damaged clamps, we can satisfy all of you exhaust needs! Have your car fixed the right way at Expressway! Give us a call today at (866)645-0589 or schedule an appointment online. We’re excited to have you as one of Expressway Auto’s many happy, repeat customers!